First off, here’s some of the new UI. The score bar’s been updated, new shop, new backpack (that part’s my favourite), new side menu for your equipped items, and new health display. Mutant upgrades! : I added the exploding mutant into the game and added a clawing animation to the melee mutant, so he now does more than just bump into you. We’re still looking on track for the game’s alpha next month. Still need to fix a big pile of bugs, add in some hooks so I can do some tracking, and sort out some unknowns around properly distributing the alpha builds (hoping to be able to do so through Steam). And!! If you haven’t already signed up: you can do so at minermeltdown.net . And if you could spread the word, then that’d be just swell! And for those of you PEI followers, I have booked the startup zone for June 17 for a group play-test session. I’ll be sending out some details on that this week. Miner Meltdown has Officially RELEASED! 1 Month Away From Full Release! Free Offline (Lite) Version Available Now! 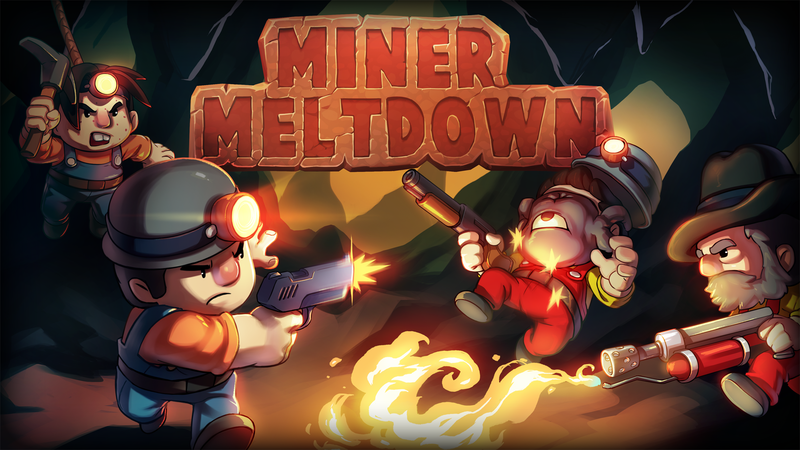 Miner Meltdown Available Now on Steam Early Access!!! PC Gamer Weekender Expo this weekend!